Medicinal Chemistry: An Introduction, Second Edition provides a comprehensive, balanced introduction to this evolving and multidisciplinary area of research. Building on the success of the First Edition, this edition has been completely revised and updated to include the latest developments in the field. 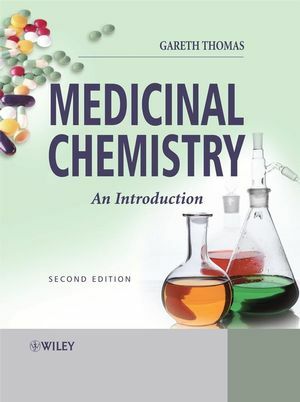 Written in an accessible style, Medicinal Chemistry: An Introduction, Second Edition carefully explains fundamental principles, assuming little in the way of prior knowledge. The book focuses on the chemical principles used for drug discovery and design covering physiology and biology where relevant. It opens with a broad overview of the subject with subsequent chapters examining topics in greater depth. Dr Gareth Thomas, The University of Portsmouth, UK.